I'm 3 weeks out for sitting for the CCNA. It's been scheduled and I'm in insane review mode. I took a Boson test exam a few days back and scored a 72% on it. Which I'm thinking would have been a bit better but the sims were not loading giving me the "command set failed to load" error. Thus, I had points taken off and not gained. Still I have a few weeks left of review, so I'm thinking I should be scoring in the 90-100 range before the exam. 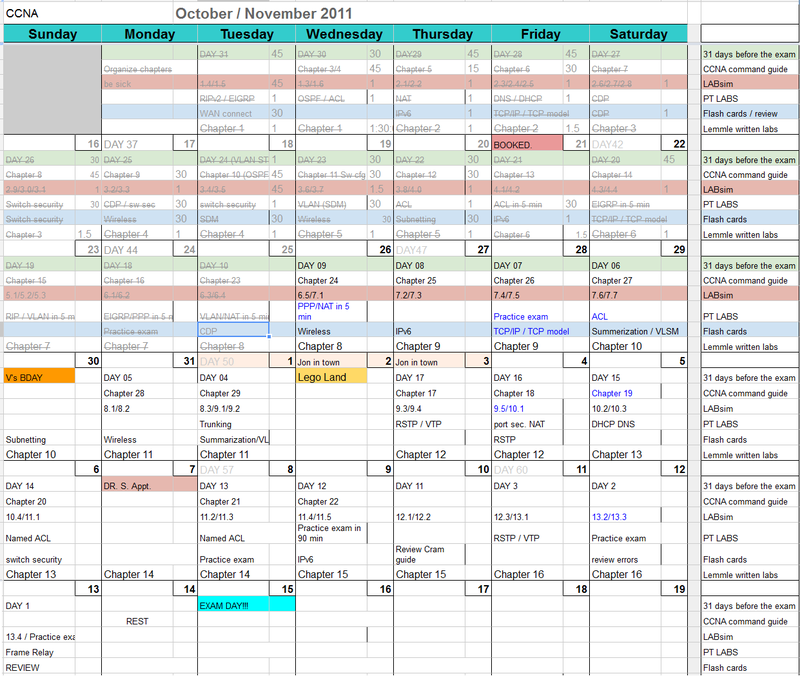 At any rate, here's what my schedule looks like for the review time. I'm putting in on average 5 hours a day from multiple sources. It's grueling, but well worth it.